The Lascal Maxi buggy board has been a lifesaver for me and my family. I just wish I’d heard about it sooner. 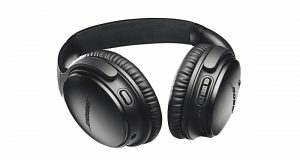 With its broader compatibility and high levels of user-friendliness, it’s the perfect assist for busy moms. Hi parents, always lovely to see my fellow life givers here. 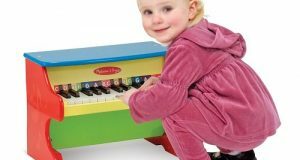 Is your toddler at that age where they’re old enough to walk but still unable to make long strolls? Personally, I know I’m guilty of making my 3.5-year-old leg it a couple of blocks while my 15-month-old enjoys the luxury of a stroller. So you can imagine how embarrassed I was when I heard about the Lascal buggy board. 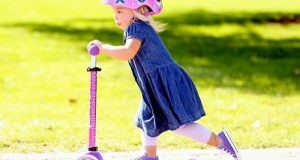 This simple device is compatible with virtually all types of strollers, is engineered to travel over bumps and curbs with ease, and is perfect for kids aged 2 to 6 years old. 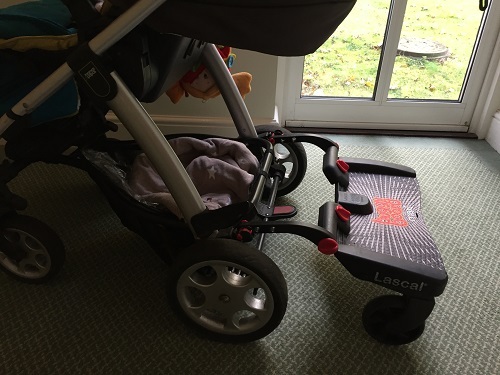 Seeing how it’s significantly changed my strolling days, I know parents everywhere will appreciate this Lascal maxi buggy board review. First off, it’s quite clear that you’re buying a buggy board to make strolls more convenient for your older children. However, I noticed that you get more than that. When the new child arrives, it’s only natural that your first child feels neglected and attention-craved; especially during trips where they have to walk while baby gets a ride. The lascal maxi buggy board let’s all your kids enjoy the ride and get all the attention they’ve been missing. 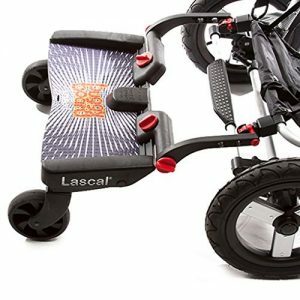 This buggy board from Lascal makes travelling with two or three kids easier since you won’t need any cumbersome double pushchairs. The board readily fits behind regular strollers allowing your older child to climb on and tag along safely and convenient. Whether you have a single buggy, 3 wheeler, pram, pushchair, or travel system, Lascal’s maxi board is built to fit over 99% strollers and buggies. Thanks to the patented, Easy-Fit connector system, this just might be the only board you will ever need. Compared to some of the other buggy boards I looked at, the Maxi board offered an extra large platform and a comfortable suspension system which helps with most terrains. Likewise, I also found the higher ground clearance quite useful so you don’t keep kicking the thing while you walk. The better quality means I can use the board all the way to age 6 as the manufacturer states – or at least until junior here hits the max weight limit of 20 Kg. But I did have an issue with the safety. I know that buggy boards don’t have a safety belt, but is that too much for a mum to ask for? Being a cleverly constructed piece of equipment, the Lascal maxi buggy board was easier to use than I expected. But the reason why I thought it would be a headache was the stressful assembly. There were so many small pieces and screws I almost gave up even before I started. So I won’t lie – my husband helped put the buggy together, and there was a lot of swearing involved. However, it was smooth sailing all the way once everything was in place. As explained above, the easy-fit patented system allows the board to be fitted on almost any type of stroller or buggy without any tools required. 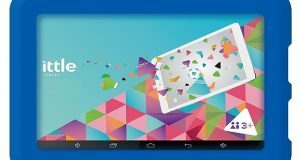 You get the easiest connect and quickest release action at the simple press of a button. Another highlight is that you don’t have to keep removing the board when not using it. There’s a lift and store system that quickly hooks the board up and out of the way for convenient, onboard storage. With the larger wheels and higher suspension, the Lascal Maxi board is super easy to push. As you would expect, having a toddler on a board at the back of a pushchair changes the overall stroller dynamics significantly. In addition to the balance being off, turning is also much harder. Similarly, going up and down curbs can be very tricky with a child on the buggy board. Just to be safe, I usually tell my 3-year-old to dismount during slopes and get back on when we’re on flat ground again. The Lascal Maxi buggy board has been a lifesaver for me and my family. I just wish I’d heard about it sooner. With its broader compatibility and high levels of user-friendliness, it’s the perfect assist for busy moms. The wider platform can also be used by two kids if you have a larger family making it quite the smart investment. Sure, there’s a little lag and resistance while you push the stroller, but it’s nothing compared to pushing cumbersome double pushchairs. So if you want all your kids to enjoy their daily walks out and about without getting fatigued, then this buggy board will definitely make life a whole lot easier.